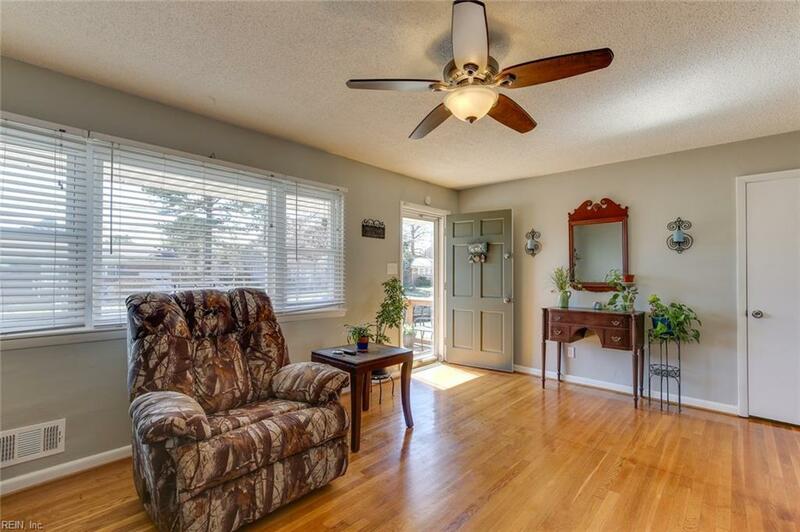 Exceptionally well maintained rancher is move in ready! 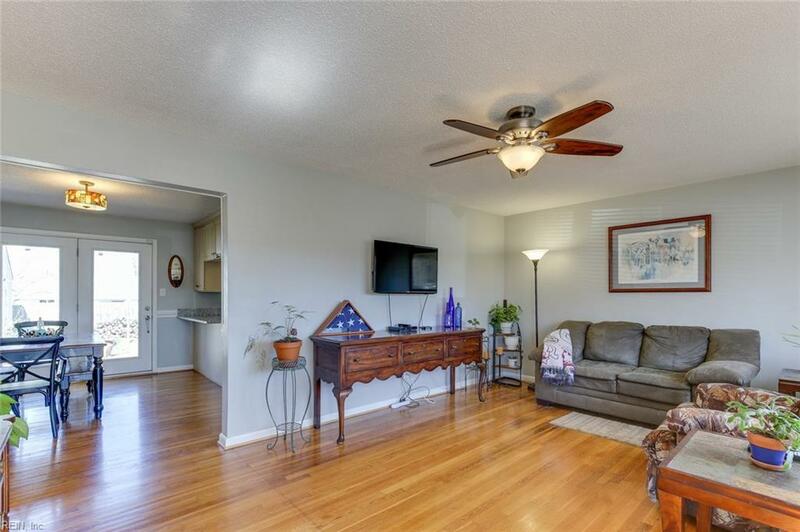 Spacious kitchen with new granite counters and stainless appliances. 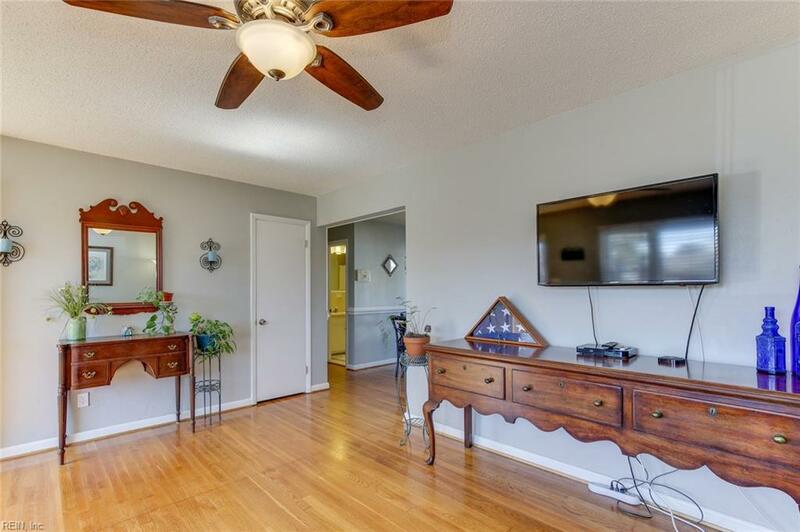 Hardwood flooring in family room, dining area and hallway; carpet in bedrooms with hardwood underneath. New laminate flooring in bonus room that could be used as additional den, playroom or bedroom! Master bedroom with walk-in closet and half bath. Great backyard with deck and 2 sheds! Additional improvements include replacement windows throughout, roof (2010), deck and front porch replaced (2017), 16x24 shed (2014), appl. 's within the last few years, extended driveway pad for parking that extends to side of home (2015), vapor barrier and all insulation replaced (2013). 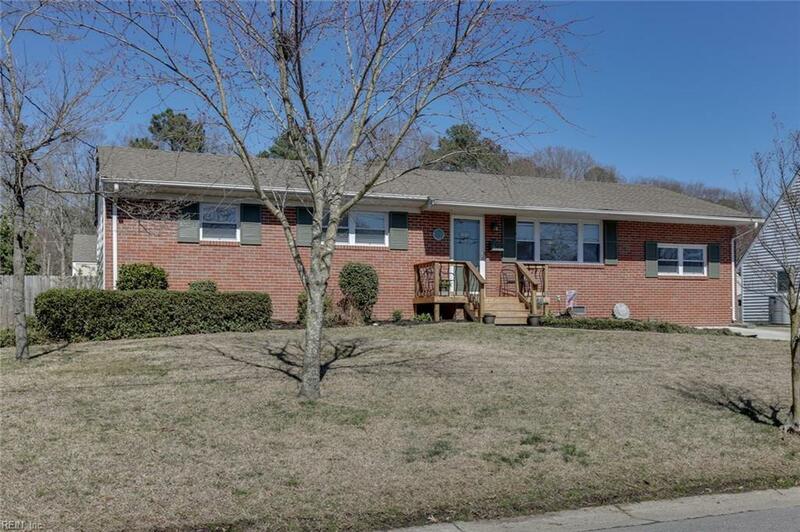 This quiet neighborhood is centrally located and minutes from i-264, restaurants, shopping, Town Center and more. Oceanfront and Chesapeake Bay ( Chick's Beach) beaches are just a short 15 min drive away. Make this one a must see!